This week has been rough. Somehow we all managed to get a cold. One of those bad ones. Sore throat, blocked nose, headache, earache...the lot. Me and Sam started feeling ill last weekend. I was first with a sore throat on the Saturday, not expecting it to turn into anything else, but, the next day Sam was well and truly ill. I caught up with him the day after. We thought Molly had managed to avoid it. Until Tuesday night. Poor baby was hard to get to sleep that night, which is unusual for her, and her cough developed through the night so we didn’t get much sleep. So by Wednesday we were all ill. That day was not fun. Poor baby Molly had developed such a cough that she managed to bring up all her breakfast feed. All over me. First clothes change of the day. I hate seeing her throw up. She did it again two more times that day because of the cough. We got through soooooo many clothes that by about 2pm I gave up and put on my pyjamas. The day before she’d had a number of explosive poops, not sure if that’s related to the cold or not, so in those 2 days we made a full washing machine load. I’d been puked on, sneezed on, peed on and pooped on but I wouldn’t change it for anything. Being a mum is still amazing even when you’re up to your elbows in poop and snot. We’re coming out of the other side now, thank goodness. Me and Sam are starting to feel better. Molly, still has a cough and is a bit congested, but, at least she isn’t being sick anymore. And she still manages to give us a smile through her coughs and sneezes. 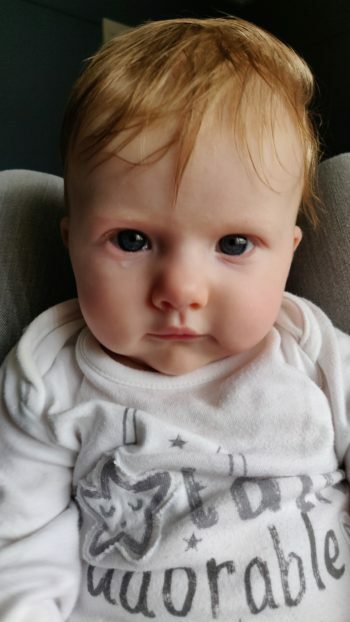 We think she's captured the essence of Cambridge Baby. 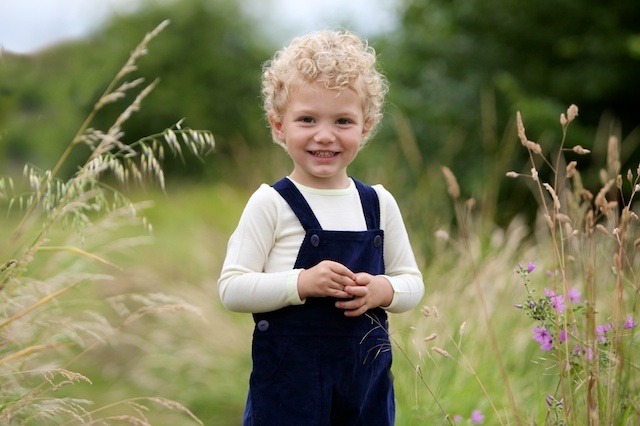 Here are a few of our favourites the children and the mother are all wearing wool from Smalls, Engel, Cosilana Disana and Living Crafts with Organic cotton Dungarees from Iiobio. Why wool is wonderful when wet! 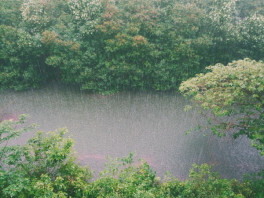 It's soggy here in Cambridge! Wool is able to soak up to 30 percent of its own weight in moisture without feeling wet, hence it's ability to keep you warm even in the rain.The natural crimp of the fibres helps to wick moisture away from the body. Getting this moisture off your skin helps you feel warm and comfortable in wet conditions, but the complex make up of the fibres have still more ways of keeping you comfortable.The crimp in the wool fibre means that they trap tiny air pockets between them when they are next to each other. Air pockets act as insulators -- keeping you both warm and cool. Air can move heat by convection -- When air is contained in small pockets, it can't circulate easily, and the heat or cool is retained. There's also some chemistry at work here. Wool fibres are made up of three layers. 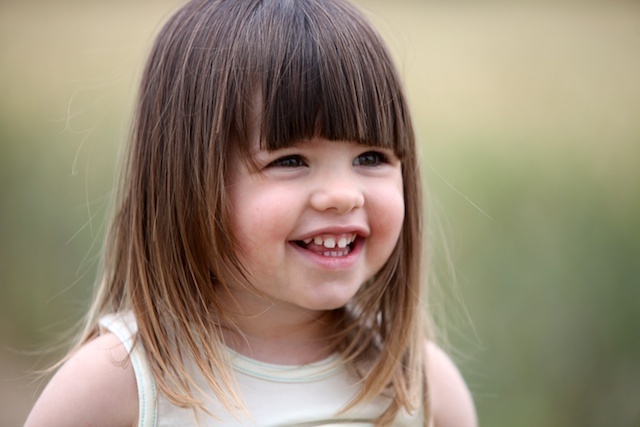 The first, keratin, is a moisture-loving protein that all animal hair has. It is designed to maintain a stable body temperature. Think how useful this is to babies, athletes and your own day-to-day living. The second layer is the cuticle a scaly covering. The overlapping scales are tiny, but as they rub against each other they push off the dirt. So it is self-cleaning, as anyone who's put their baby in wool knows. The third layer is a filmy skin the epicuticle which keeps the rain out. Wool is quite water-resistant, as duffel-coat wearers and sheep can testify. Now, the two outer layers have tiny pores which allow moisture to pass through to the keratin core, which absorbs it. The hydrogen bond of water, H2O, is broken, creating a chemical reaction within the fibre molecules to generate heat when it has taken on a lot of moisture. But because the air pockets allow moisture to evaporate from your skin, you won't overheat when you sweat. So, you can see it's not just sheep who can enjoy being out in the rain in their woolly coats. I'm not a fan of crackly waterproofs so when it's raining I prefer to wear the following for running/ walking in the rain. I'm not totally dry, but I feel warm and comfortable. Wool base layers are also the perfect layer under a waterproof as they wick the sweat away from your body. Synthetic micro fibres from clothing are potentially a bigger threat to marine pollution than microbeads. 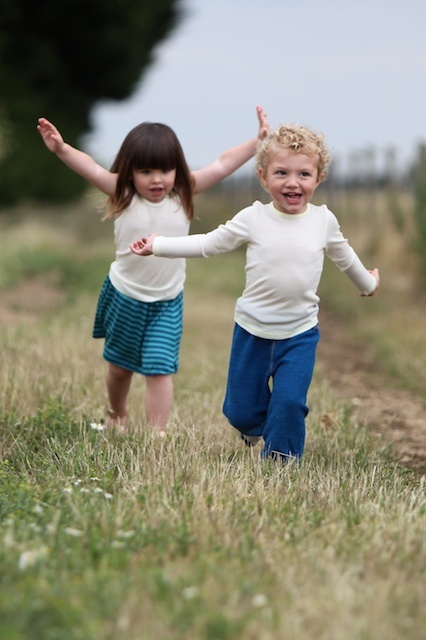 When we started Cambridge Baby we decided to source clothing made from natural fibres for two reasons (both intrinsically linked). 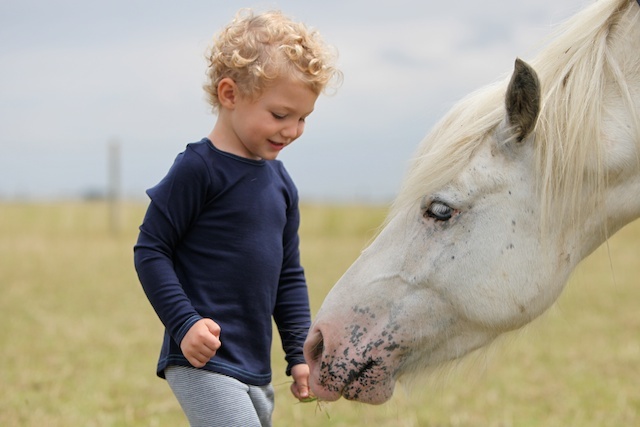 We believed natural fibres amazing properties were better for our children and that their renewable and biodegradable nature meant they were better for the environment. It turns out that our environmental choice was even more important than we originally thought. What we didn't know then is how many micro fibres are released from synthetic clothes when they 're washed that then end up in the marine food chain. According to a research team from the University of California a city of 100,000 inhabitants releases a volume of microfibers equivalent to 15,000 plastic bags from their washing machines. A city with the population of Berlin may be responsible for the equivalent of 540,000 plastic bags – every single day. The Guardian says "The impact of microplastic pollution is not fully understood but studies have suggested that it has the potential to poison the food chain, build up in animals’ digestive tracts, reduce the ability of some organisms to absorb energy from foods in the normal way and even to change the behaviour of crabs." One of the findings from the research was that old polyester fleeces release more fibres than new ones. So even sourcing second-hand synthetic clothes isn't a brilliant option from an environmental point of you. The good news is that moving away from polyester, and acrylic clothing is not only good for the environment its better for you and your family to. 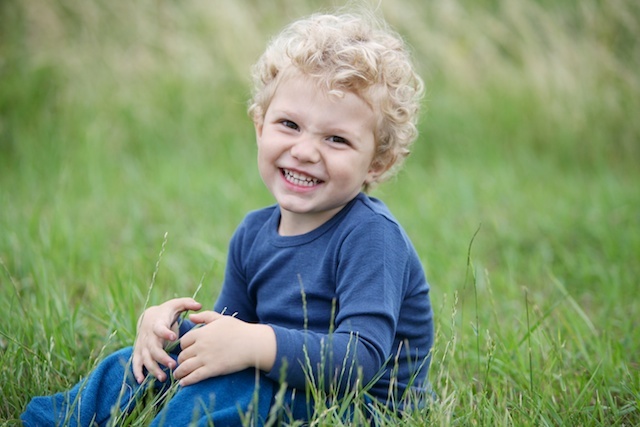 Natural fibres biodegrade naturally and have other properties that contribute to your family's well being. 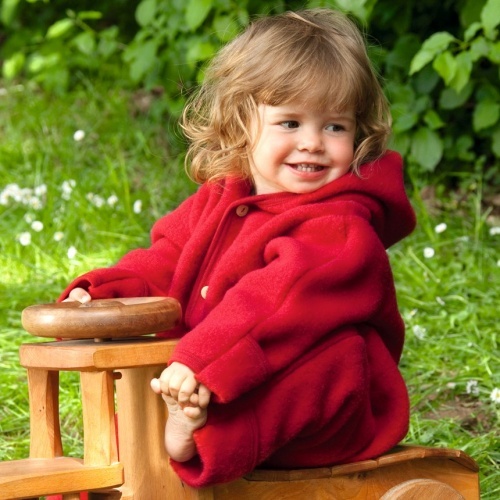 Our pure wool fleeces are soft, breathable, antibacterial, naturally flame retardant, water repellent and even dirt resistant! 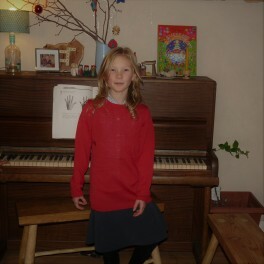 My 7 year old decorated her Disana merino jumper for Christmas Jumper Day on the 16th. 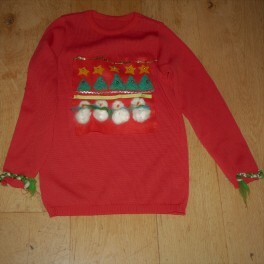 Here's what we did to ensure the jumper would go back to the same favourite everyday jumper it was, and make it easy to re-Christmas it or another jumper next year. 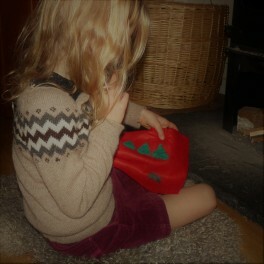 She came up with line/pattern design based on other Christmassy patterns she'd seen. Using wool she'd carded, she needle felted the Christmas trees and snowmen onto a piece of felt. We then stitched on some other embellishments she had in her sewing/jewelry box. 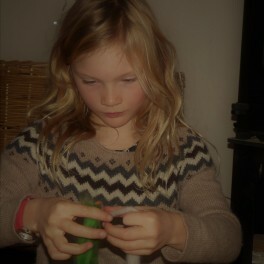 She plaited some merino tops for cuffs. I carefully tacked on the piece of felt and the cuffs to the jumper so as not to damage the jumper and to make it easy to snip off after Christmas. Below is a letter Helen wrote to a customer who was concerned about animal welfare and the ethics of wearing wool. Thank you for your email and it is always good to know our customers are concerned about ethics and better ways to live. I share your concerns about the issues raised in the article regarding animal welfare. First of all, the majority of our wool is certified organic. This is not simply about avoiding potentially toxic chemical and hormonal sheep treatments but also about raising sheep in a humane way, and about holistic management practices. Secondly, none of our wool comes from farms that practise mulesing - we specifically check this with every supplier. Thirdly, at present none of our wool comes from the USA or Australia which do have histories of poor management practices, although I believe they are improving in response to lobbying which is good news. Most of our existing suppliers are small companies also concerned about the ethics running through their supply chains and we are confident that they act on their principles, and we ask for an ethical statement from new suppliers which includes questions about animal welfare as well as social issues (working conditions) and ecological issues (environmental footprint, organic/eco status etc). While I think it's great that organisations such as PETA campaign for animal welfare, I don't think it's good to take a blanket approach. It is better to support those farms and farmers that engage in good practices and boycott those who don't. In terms of ecology, we know that are many parts of our moors and mountains that benefit ecologically from managed grazing which increases biodiversity, both here and in New Zealand and South America, for example, whereas monocultures can be exceedingly environmentally damaging as highlighted recently by theWWF and Greenpeace. "With so many humane fabrics, including rayon, cotton, hemp, acrylic, nylon and microfibre..."
as these may only be humane at one level - the use of petrochemicals in the unnatural production of man-made fibres is in my opinion disastrous - not only is it polluting, it is unsustainable and also these things are not biodegradable - who would want their old skirt or t-shirt knocking around our planet in 1000 years time? The production of acrylic and nylon is highly chemicalised and damages our planet and therefore the animals within it - not only this, but it uses an number of carcinogens and a recent study found that women working in acrylic factories were seven times more likely to develop breast cancer. I know it is hard to make good ethical decisions because there is so much to look into - but it should be looked into by organisations like PETA if they are promoting alternatives as ethical which clearly aren't. While hemp may be ecological, cotton isn't on the whole. We stock organic cotton because of the damage caused to people's health in the use of chemicals on cotton - this is widely documented, and to call cotton humane when it kills human beings and causes ill-health in children in developing countries is very narrow minded. Furthermore the high levels of pesticides used in conventionally grown cotton must, if they are causing death and hospitalisation of humans, be exceedingly toxic to animals too. Even organic cotton is troublesome in that it does require a lot of water, problematic in many countries. But we still feel at Cambridge Baby that we want to support organic cotton and organic agriculture generally. Wool is unarguably sustainable, natural, and it bio-degrades naturally. It is healthy for the skin as it is designed to clothe mammals and therefore needs less processing, and organic rearing of sheep is humane, does not pollute the ground, sea or other animals, and is of no danger to farmers and their families. Clearly everyone has different values but for me there is no question, I strongly advocate using wool over the alternatives - but yes in doing so making sure that the wool is organic if animal welfare is your overriding concern. PS we are currently looking into hemp again and may be stocking it in the future. 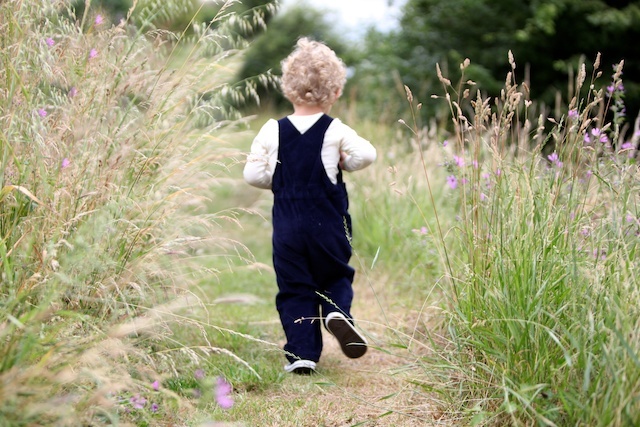 > Cambridge Baby - discover natural, organic clothing for your little explorers (aged 0-100). When my first daughter was born, I got some handmade woollen hand-me downs, gorgeous tiny knitted cardigans and precious booties. They were made of the softest yarn in pastel colours with intricate lacy patterns. They were stunningly beautiful... and I despised them. I found them outrageous. They embodied everything that was wrong with parenting these days! I was, of course, extremely young and extremely foolish. Don’t get me wrong, I appreciated their beauty and the fact that they had been made with love, but I bemoaned their lack of practicality. Hand wash only! For a baby! As if new parents had time for that. To me, Hand Wash Only was a dreaded label that should be avoided at all costs. I grew up in a tropical climate so there was never a wool culture in my home. My mother was a power professional who always had her suits dry-cleaned. The few delicates that escaped her strict “no hand-wash garments” policy piled up at the bottom of the dirty clothes hamper for weeks on end. Once they reached a critical mass, mum would grudgingly fish them out and scrub them with a vengeance. Thinking back, they would have probably fared better in the machine. In my early twenties I left home to study in Ireland, a move for which neither my mind nor my wardrobe were prepared. Just before I left, my wise mother bought me an under-shirt, the first I’d ever owned. It was a gorgeously soft blend of merino wool and silk and it was machine washable! Oh, how I loved that shirt. And yet, it never occurred to me to buy more woollen clothes, maybe because I was a broke college student and I weighed any purchase against how many Tesco Value ramen I would be able to afford with that money. Had I been a little wiser I would have saved myself more than one nasty cold. It wasn't until after I became a mother that I started to learn the importance of surrounding and dressing ourselves with natural materials. I did a lot of online research and was lucky to meet a few like-minded mothers who taught me more than I ever thought I could possibly learn. One lesson in particular stands out in my mind. My friend and I were having lunch with our toddlers and her 8-month-old baby. Dessert was fresh mango and the baby ate it with gusto. And by “ate it” I mean poked it, squished it and rubbed it all over her face, with the yellow juices running down her arm and chin onto her white knitted cardigan. Seeing this, I joked to my friend “I hope that cardigan isn't hand wash only”. She looked at me with genuine puzzlement: “Yes, it is. Why?” I was aghast. Wasn't it obvious? “Isn't it… too much of a hassle?” I asked. “Not at all!” she answered nonchalantly. “I'm staying at my mum’s tonight and she doesn't have proper wool detergent but baby shampoo works in a pinch. I'll just give it a rinse in the sink while the girls are having their bath, it’ll be dry by tomorrow”. That was it? Could it really be so simple? If you grew up wearing wool you’re probably laughing at me right now, but it really took a while to wrap my head around the fact that hand-washing didn't need to be a huge affair. I started researching and began to understand. Wool is antibacterial! Wool repels stains! No scrubbing your knuckles raw, you just need to let it soak in soapy water and rub stains gently. It dries super fast. And some wool is even machine washable! After this eye-opening experience, I tentatively ordered my daughter’s first pair of woollen pyjamas… and I fell in love. Caring for them was as easy as everybody promised it would be, and never again did I need to worry that my baby was too hot or too cold at night. No more icy hands, no more sweaty foreheads thanks to wool’s property of thermoregulation, which I believe is a fancy word for “mama, don’t fret”. By the time my son was born I was a convert… and I found myself wishing I hadn’t returned those handknit woolies that I used to hate so much. They were pink and purple and frilly… but I would have put them on him anyway, and he would have been happy. Making decorations is one of our favourite things to do. Here are some of my favourites this year. 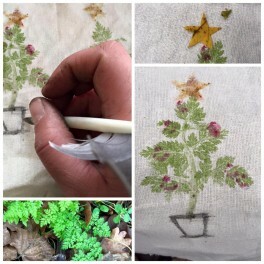 Hammering wild carrot Christmas trees into cloth is a fun thing for children to do. They can come out looking great too. 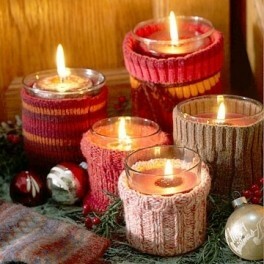 You can make some beautiful decorations using cinnamon and dried fruit. 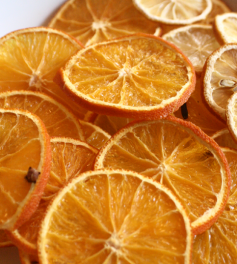 Simply slice the fruit thinly and dry in the oven at around 80C for an hour on each side. Then children can string them with cranberries and cinnamon sticks. I love this twig wreath and will dig out the drift wood I've saved since a holiday in Cornwall. Finally if you have accidentally shrunk some jumpers or they are too old and holey to pass on this is a nice way to upcycle them and make your house feel warm. Cambridge Baby has just become accredited by the Living Wage Foundation who are campaigning for companies to pay a wage that people can live on, calculated annually based on the cost of living, rather than the minimum wage. Becoming accredited hasn't changed what we pay people at Cambridge Baby as we already pay over the current Living Wage. However, we're one of the first clothing retailers to join up and the first online retailer in the East of England to do so. As there are over 3m people employed in retail across the UK, often in very low paid work, we wanted to shout about the work of the Living Wage foundation and encourage many more businesses across the country to join us. "A significant driver in setting up our own business ten years ago was that we wanted to do business as ethically as possible. This doesn't stop at sourcing ethically made natural and sustainable clothes. It means everything from treating staff well, with decent wages and flexible working hours, to buying Fair Trade gift wrap to wrap our gift items in. "We're lucky enough to employ people who are passionate about the environment and social welfare and we want them to feel as proud of Cambridge Baby as we do." 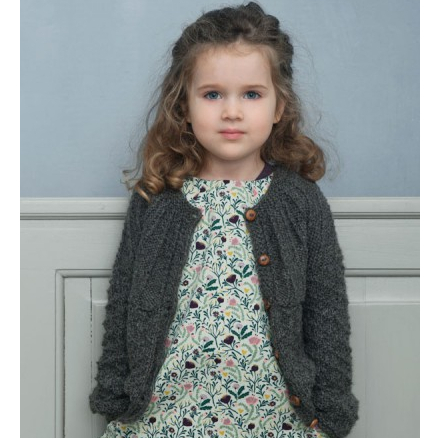 Customers tell us they feel good about shopping with Cambridge Baby because they trust us to do the research and choose the loveliest ethical clothes for their family. And we do. What’s the difference between Llama and Alpaca? Llamas and alpacas look very similar and are closely related, but there are a number of differences between them . These differences stem from how they have been used and bred over thousands of years of farming in South America. 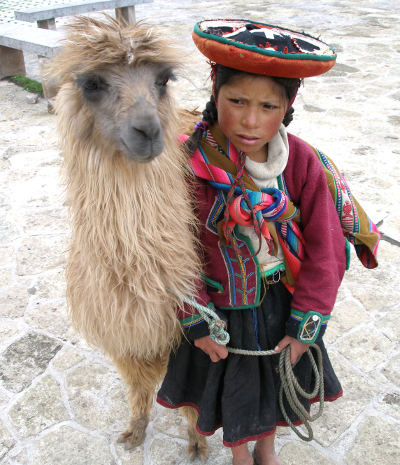 A young Quechuan girl with her llama, which are stronger and less woolly than alpaca. 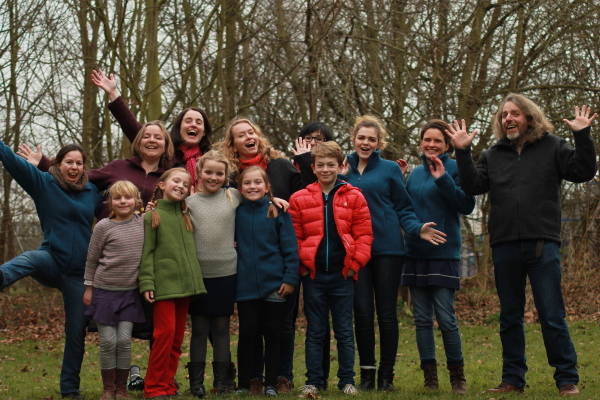 Alpaca have been bred for their fibre - which can be super-soft, light, airy and warm. It's truly the fibre of Incan royalty and we at Cambridge Baby keep expanding our range of alpaca clothing as its durable, and up to 7 times lighter than wool for its warmth. Llamas, in contrast, have been bred as useful, working farm animals - to carry loads, and to guard other livestock. So they are stronger and larger than the pretty alpaca, and rather less furry to look at. They are also quite independent-minded, whereas alpaca prefer to be in herds, rather like sheep. If you look at their faces in the photos above and below, you can see the differences. Alpaca, bred for their fibre, are smaller and more woolly than llama. But we discovered recently that Llama fibre can be just as lovely as alpaca. A fleece consists of two layers, the guard layer, which is strong and straight, and makes good rope, while underneath is the super-soft layer of down. These are the fluffy fibres which make excellent clothing and, like alpaca, can be as fine or finer than cashmere, under 20 micron. They usually have a hollow core, which gives extra insulating warmth, and a crimp (a kind of zig-zagging of the fibre) like merino wool, which also adds insulation. Should alpaca and llama hair be called "wool"? Most people say that it's not technically wool and should be referred to as fibre, but some say that it's fine to call it wool after it's shorn. So, take your pick! 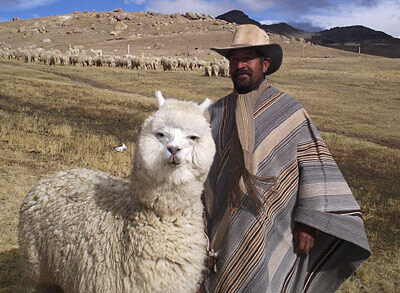 Alpaca and llama fibre, like most animal and human hair and wool, should be cared for gently. There's not need to wash very often and the "wear then air" strategy works well. If the times comes to wash it, use detergents designed for delicates, wash gently and dry away from direct heat. We're lucky to now be stocking a hand-knitted llama cardigan for kids in sizes from 2 to 11 years. We hope you enjoy it!